In 2007, the first annual 30 Days of Peace will begin on the anniversary of 9/11, and conclude on 10/10, the birthday of international journalist and musician Daniel Pearl. The central focus of 30 Days of Peace is the International Day of Peace, held annually on September 21st. Each year, in September and October, an estimated 5,000 peace-related events and media projects, touching millions of people, are produced internationally by over 2,500 organizations, including United Nations agencies and leading Non-Governmental Organizations. In addition to promoting existing activities that occur during this month, 30 Days of Peace will launch a series of new projects, including an online community and educational portal; a music outreach tour; and a 30 day global prayer vigil. 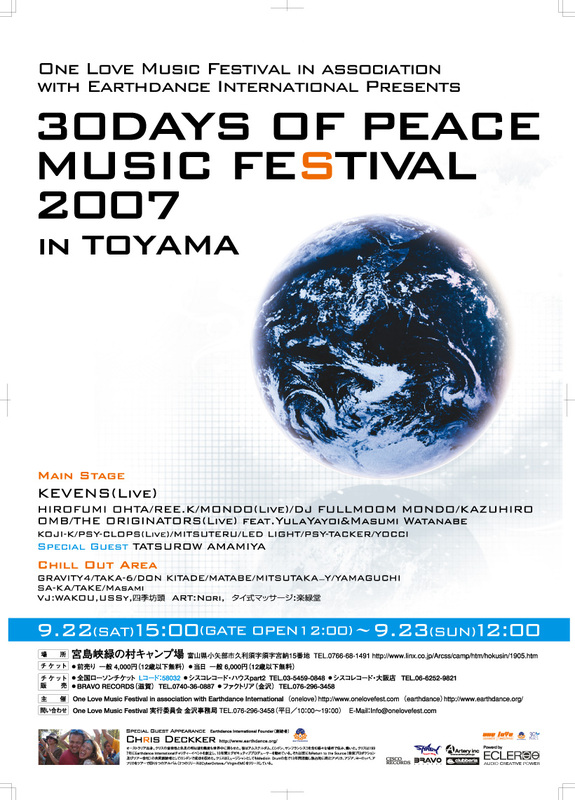 30 Days of Peace is not a celebrity driven entertainment event, but rather a massive cooperative campaign that unites many philosophically aligned organizations and events. Transcending cultural, political, religious, and demographic boundaries, 30 Days of Peace demonstrates the power of unity through diversity, and achieves strength in numbers, via one multi-platform, coalition event and message. In a world awash with the tragedies of personal violence, war, and environmental degradation, 30 days of Peace will deliver a vividly clear message that NOW is the time for each of us to join in building a Culture of Peace and sustainability.